Portadown midfielder Michael Gault will join Crusaders this summer after signing a pre-contract with the Irish Premiership champions. The 32-year-old former Linfield player, who made one appearance for Northern Ireland, joined Portadown in May 2014. "When you're alerted about the availability of a player of his stature and ability, you have to move quickly," said Crues boss Stephen Baxter. "We want the best players, not just for now but also the future." He added: "The top 10% of players are hard to get and we want them at our club." Gault, who has penned a two-year deal, is expected to play against Crusaders on Saturday alongside new Ports signing Philip Lowry. 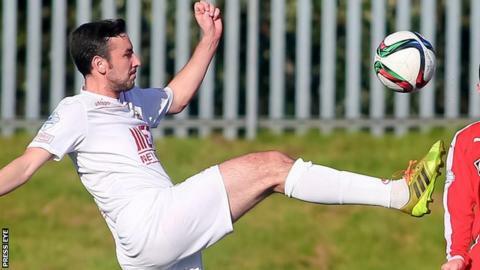 Ballymena striker David Cushley will also be a summer arrival at Seaview after signing a pre-contract with the league leaders last month.